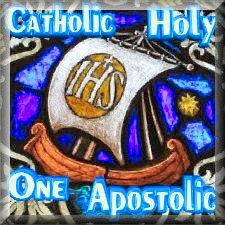 Is the Church still ‘One, Holy, Catholic and Apostolic’? 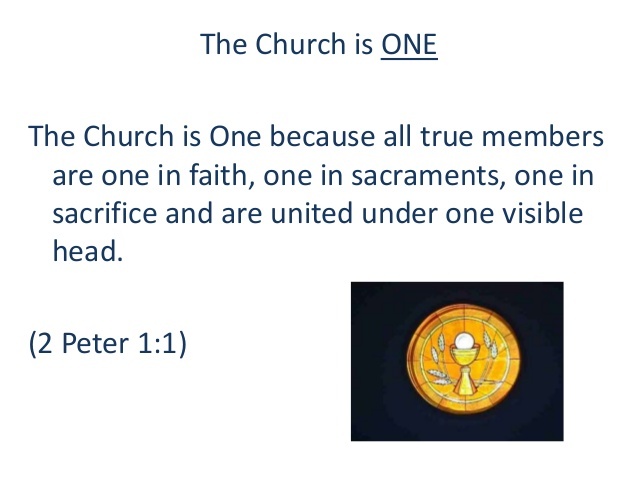 Is the Church still “ONE” under this pontificate? He has called for a “decentralized” Church, and allowed individual bishops’ groups to determine for their own “regional” churches what is moral and right. In this way, it is supposedly permissible for adulterers to receive Holy Communion in Germany while across the border in Poland it is gravely sinful. His ambiguous speeches and especially his papal writings have turned cardinal against cardinal, bishop against bishop, and lay-faithful against lay-faithful. He has refused to answer Church leaders earnestly begging for clarity on points of contention. Is the Church still “HOLY” under this pontificate? His writings have also been used to defend the sacrilegious practice of giving Holy Communion to those living in objective grave sin (here, here, here, and here). Bishops and cardinals have defended this sacrilegious practice based on the Pope’s own arguments in Amoris Laetitia that emphasize “pastoral care” and “mercy” to the detriment of doctrine and truth. He has denounced “restorationist” orders bursting with young people and has destroyed one traditional order. 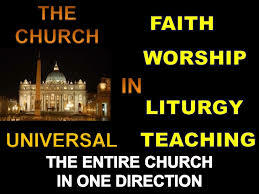 ROME, February 9, 2017 (LifeSiteNews) — Pope Francis has stated that the rise of new religious institutes that attract numerous religious vocations “worries” him because they often promote “rigidity.” Francis denounced new traditional religious orders as “Pelagians,” who want a return to asceticism and penance. Also the dismantling of the Franciscan Friars of the Immaculate (a thriving order, growing in numbers) because of an internal dispute over the use of the Traditional Latin Mass. This stands in opposition to the many religious orders riddled with major issues such as dissent, sexual abuse, rampant homosexuality for the last few decades and still remain comparatively untouched by Church authorities. He has accused Christians of “cowardliness” who zealously follow the Ten Commandments. He has consistently used coarse and degrading language to criticize and vilify those with whom he disagrees (here, here, and here). He has allowed St. Peter’s Basilica, a sacred Church building, to be desecrated by an occult light show projected on its facade. This occurred on 8th December, Feast of the Immaculate Conception, and was in celebration of his latest ‘encyclical’ ‘Laudate Si’ . New Age images abounded including pagan gods and goddesses. He has allowed sexually provocative dance troupes to perform on the steps of St. Peter’s Basilica. Is the Church still “Catholic” under this pontificate? He has oriented the Church’s mission towards worldly goals such as combatting climate change and reordering the world’s economic system. He has called Catholics to have an “ecological conversion” and to repent of “sins” against the environment. He has allowed the sworn enemies of the Church to openly exert their influence on her policies and programs (here, here, and here). 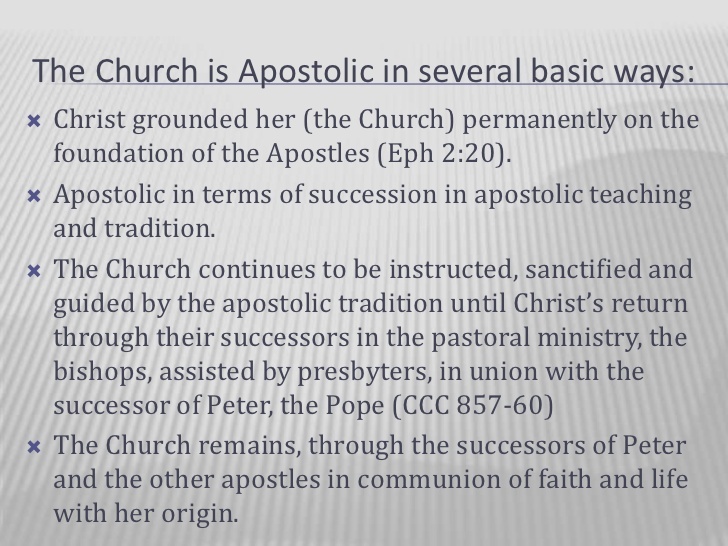 Is the Church still “Apostolic” under this pontificate? He has elevated openly heretical bishops and cardinals who do not hold the unchanging faith as handed down through the ages from the Apostles. He has demoted and silenced high-ranking voices of orthodoxy within the Church.